Taking them in order of the solutions presented in the story itself, Holmes’ explanation and reversal of his certain death is actually very neat. There is no reason why Watson should have been accurate in his observations given his emotional state at his friend’s death in ‘The Final Problem’, and although continuity errors abound regarding Holmes’ absence (only three years in story time, significantly shorter than in real time), and while some may consider this a bit of a cheat I actually enjoy it as one of the more human examples of the canon. 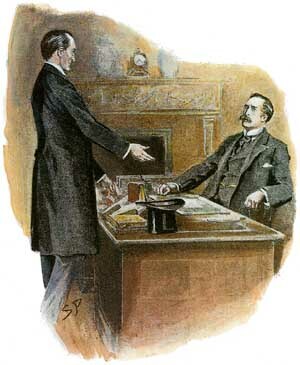 No-one ever claimed Watson was an infallible narrator – Holmes himself has chastised Watson over this exact foible, in fact – and, while you wouldn’t accept it at the end of a 300 page novel, this kind of oversight is a more than adequate explanation to justify the reappearance of the great detective. The lovely thing about this is that Conan Doyle casually throws in a very key piece of misdirection without striking a jarring note and quietly works away at building further misdirection on top of it without you realising what he’s doing – truly an invisible event if ever I’ve seen one, and arguably an under-appreciated facet of his writing (which, to be fair, he didn’t necessarily indulge in all that frequently). Modern audiences will, of course, start to twig to the nature of how the murder was worked, and it doesn’t really qualify as fair play unless you…well, no, it doesn’t qualify as fair play, and indeed the very first time I read this – as a callow youth, need I remind you – I was somewhat irritated at the simplicity of the answer. But, then, that’s arguably the idea. A lovely flourish has this particular crime and this particular solution as deciding factors in Holmes’ return, and in fact the whole enterprise is concoted and executed with more skill than was necessary given its guaranteed rapturous reception. 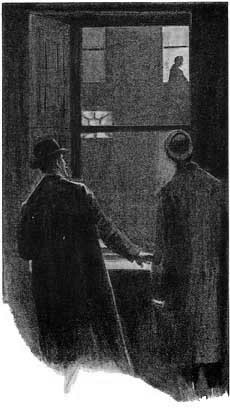 Away from the impossible crime, a certain amount of fun is to be had imagining what Watson had in mind as explanations for this crime, especially when he tells of joining a crowd around a man in the street forwarding his own theories which “seemed to me to be absurd, so I withdrew again in some disgust” – steady on, John! It might possibly be from here that Robert Ryan took his motivation for his novel Dead Man’s Land, which sees Watson putting Holmes’ methods to use in solving a murder in the trenches of the First World War, but I veer off topic. It’s also interesting to reflect how this story echoes down the years: both problems recall John Dickson Carr novels (She Died a Lady has footprints disappearing over an abyss, and…well, something else – let’s say one of his more successful minor books – has a very similar solution to Adair’s murder) and have returned again and again in various, and variously successful, forms. All told, a minor triumph, and a very influential one to boot. As a complete aside, was anyone else as disappointed as I was with the version of this story filmed under thew wonderful title of ‘The Empty Hearse’ for the BBC’s Sherlock? I couldn’t give a hoot about fidelity to the source story, more that the two impossibilities they had – Holmes’ survival and, especially, the man disappearing from a London tube between stations – were so phenomenally daft (in the first instance) and lazy (in the second). The tube disappearance surely sets a new low for miraculous explanations – a mystery for all of eight seconds, and then happily resolved with a minimum of thought or effort hardly requiring Sherlockian intellect and insight. It was like something out of the most recent series of Jonathan Creek, for pity’s sake. Still, at least we didn’t have to wait 10 years for it. ¹ – Don’t drink and blog, kids! Are you referring to a novel published in 1937? Santosh, I was also thinking of that 1937 book, but you can also argue, knowing both solutions, it was similar to an even earlier entry in that series. Interestingly, that 1937 book shares some similarities with an R. Austin Freeman story from John Thorndyke’s Cases, which, in turn, has a situation/solution inspired by Doyle’s “The Adventure of the Empty House.” I think they call that the trickle-down effect.